For several years now the Laydeez do Comics group have provided a vital supportive platform for new voices in comics through their popular monthly meet-ups. 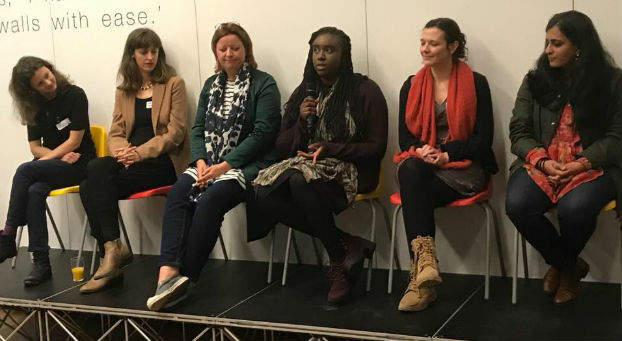 A combination of creator presentations and informal socialising, they’re an opportunity for networking and potential collaboration, and have seen chapters spring up both across the UK and internationally. This past weekend saw the first Laydeez do Comics Festival at London’s Freeword Centre. It combined mentoring sessions and a chance for the public to view the work of the longlisted artists in their recent Laydeez do Comics Prize. 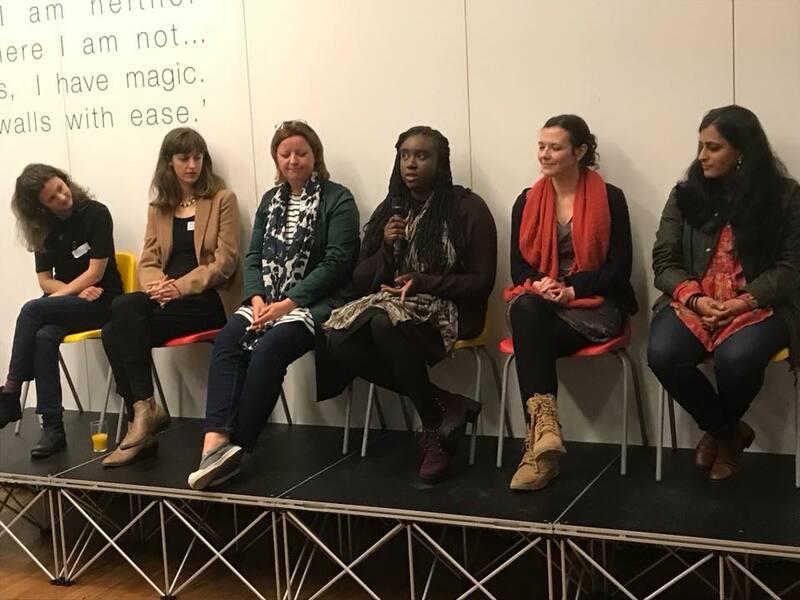 The VIP evening culminated in a panel session for the six shortlistees (pictured above, from left to right Emma Burleigh, Emily Haworth-Booth, Cathy Brett, Sarah Ushurhe, Rebecca Jones and Akhila Krishnan) to speak about their work. 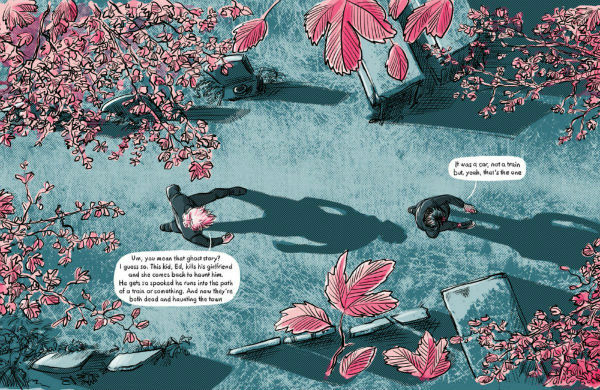 The LDC Prize exists to provide “recognition and celebration of the wealth of comics work currently being produced by female-identifying people based in the UK” and was open to unpublished creators for long-form graphic novel works-in-progress. The sum of £2,000 was awarded to the winner and £200 to each of the five other shortlisted comickers. I had the pleasure to be a part of the panel process on Saturday to ask the six artists about why comics was their medium of choice. Also representing the comics press was Steff Humm, from our friends over at Ink Magazine, who quizzed the six on their influences. The winner – of what we can only hope will be an annual event – was Emma Burleigh, for her work-in-progress My Other Mother, My Other Self. 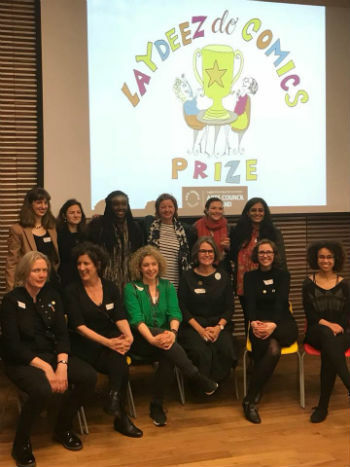 As Laydeez co-founder Sarah Lightman memorably said on the night, the event provided an artistic challenge, a chance to reject the patriarchy and an opportunity to eat cake! Congratulations to all the shortlisted and longlisted artists (including our own BF team member Jenny Robins and original Broken Frontier ‘Six to Watch‘ name Danny Noble) and especially to all the Laydeez who made this inspiring festival happen, including Nicola Streeten, Sarah Lightman, Wallis Eates, Rachael Ball, Charlotte Bailey and Louise Crosby. Winner Emma has been an art teacher since her early twenties. 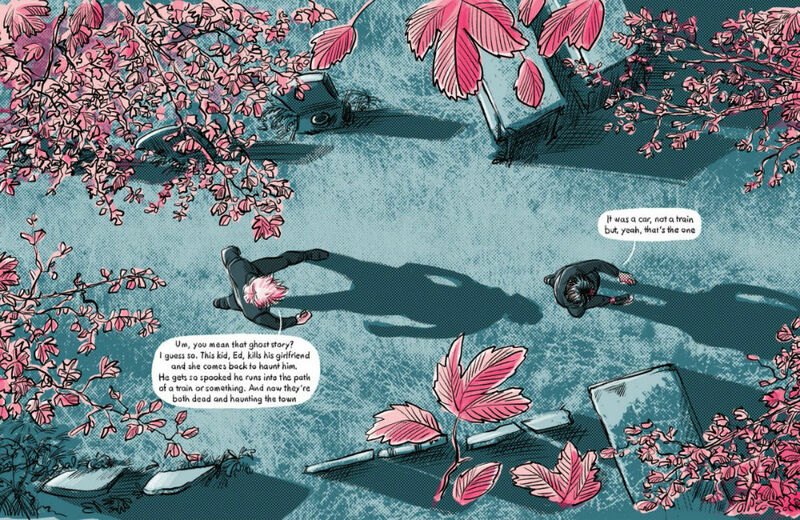 She did an MA in Authorial Illustration at Falmouth in order to develop her graphic novel-in-progress. 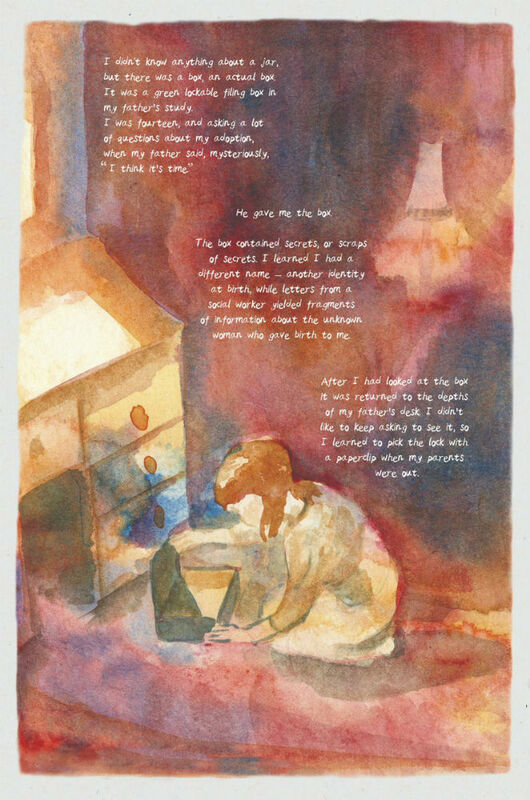 Describe your comics entry… It’s about tracing my birth mother who I traced about ten years ago and it’s really just the story of how I found her and how our relationship unfolded. It actually becomes more about my relationship with myself. What did being shortlisted for the prize mean to you… It’s amazing. It’s like am I really here? Is this true? I’ve actually been working on the book for about nine years and I’ve never really brought it into any public realm. It feels a little bit amazing and a bit unreal to be talking about my book. Cathy Brett – Who Killed JoJo? Author/illustrator Cathy has had “an eclectic career in theatre, fashion, packaging, museum curating, retail design, teaching, portrait-painting, children’s books, rubber-stamping, gardening and ceramics.” This is her first long-form comic after working on a number of illustrated novels and comics shorts. Describe your comics entry… At the back of my mind I’ve always had this idea that I need to make a comic… a graphic novel. 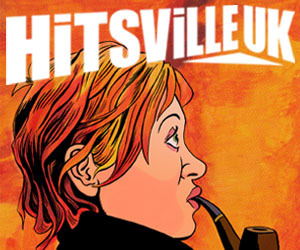 It started when I took a couple of years off from the rat race of the commercial illustrator and did an MA. The idea of the book came out of that. I love movies, I love old photographs and those two things started coming together. I did a lot of research of film theory and the frame of sequential imagery, and how you can have a narrative that’s actually hidden because it’s outside of the frame. So I was playing with how far you could push that in storytelling. I got very obsessed with Hitchcock’s Rear Window which is basically a comic strip because Jimmy Stewart’s character is observing his neighbours within frames, not seeing what’s happening outside the frames but he’s conjuring what that is and makes assumptions about what’s happening, completing the narrative between the frames. What did being shortlisted for the prize mean to you… Fabulous. It’s like a stamp of approval because I’ve known comic artists who are working in children’s books and I’ve always wanted to be part of what I’ve thought was a community of comic artists. It feels like and invitation and a stamp of approval. 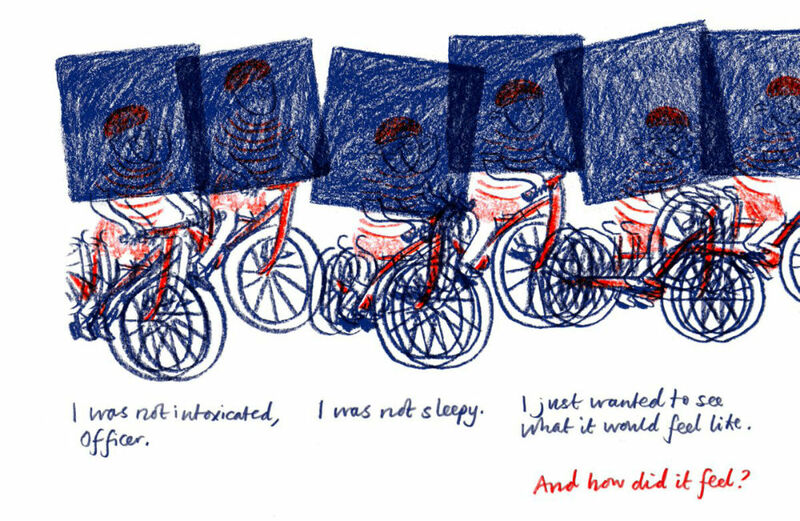 With a background in children’s book illustration, Emily is the winner of the 2013 Cape/Observer/Comica Graphic Short Story Prize. She teaches graphic novel courses at the Royal Drawing School. Describe your comics entry… I’ve been working on my graphic novel for over six years. A bit like a woman who doesn’t like to say her age, I suppose, I don’t like to say more… but it’s probably been more than six years. It’s about me and my jorney recovering from chronic fatigue and also dealing with my anxiety about the world and climate change so it’s about trying to weave a lot of things into one story and it’s taken a lot of time to figure out. I’m about to finish my first children’s picture book that’s out in the Autumn so at the moment I’m working across two different forms. It’s really nice to have the space to explore what sequential art is in different formats. What did being shortlisted for the prize mean to you… I was really surprised and thrilled and knowing that something I’ve been working on my own quite secretly for such a long time, and that was so personal, has resonated with some other people is surprising in a really good way. Something unexpected coming out of today is feeling like part of a growing community of female artists and I’ve discovered so many things in common with the other shortlisted artists. I feel like it’s an opportunity for us to nurture each others work. 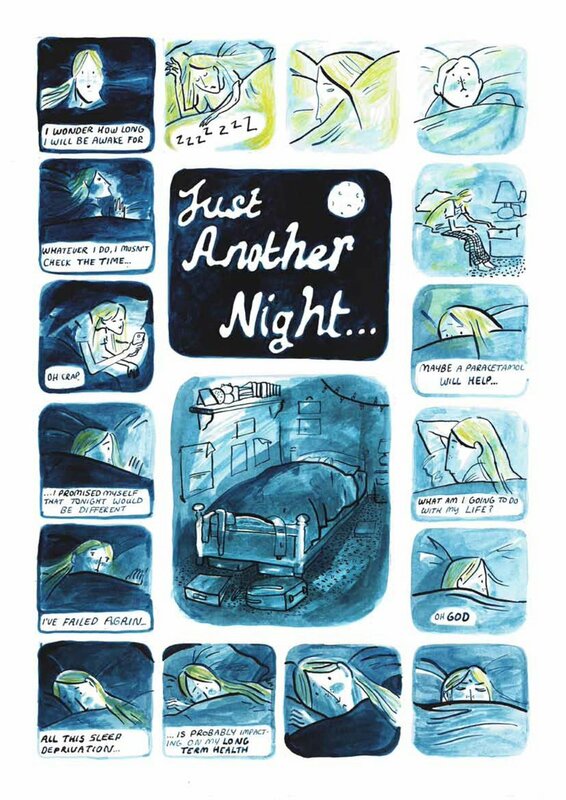 Rebecca’s comic ‘Lazy Sunday’ was shortlisted for the Cape/Observer/ Comica Graphic Short Story Prize in 2015. She self-publishes her own comics and has been featured in such acclaimed anthologies as Tiny Pencil, Dirty Rotten Comics and SelfMadeHero’s The Corbyn Comic Book. Describe your comics entry… I’ve been making comics properly for about five years – cat zines that are a little bit fantastical and a bit silly. I’ve been trying to make something new by moving into social issues and doing something that’s a bit more personal. It’s called Boomerang and it’s about an unemployed psychology graduate who’s moved back home after graduation and it’s an exploration of issues around the 2008 recession and the following economic crash. It’s about a rite of passage of a few months of not knowing what to do and what it means to be an adult. What did being shortlisted for the prize mean to you… It meant a lot. I feel like I’ve almost been incubating it for two years. There’s been no way of knowing if it was worth continuing with it so this is the first time that someone outside has looked at it and there’s been some sort of sign that it’s a project I should keep going with which is a really nice thing. 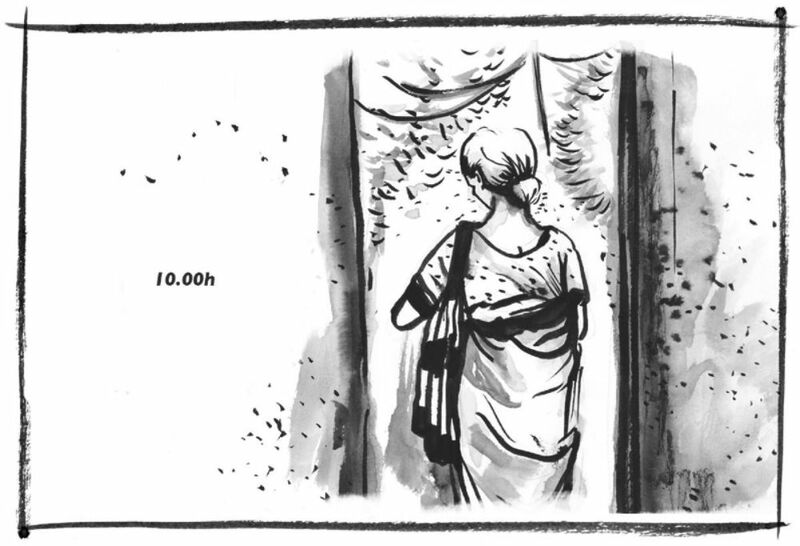 Akhila is part of the Kadak Collective who exhibited at ELCAF a couple of years ago. Her practice has a cross-media approach and she has worked with Random House, Penguin, Manta Ray Publishing, Chimera, Hindustan Times, LiveMint, Forbes Magazine and the Gaysi Zine. Describe your comics entry… Alone but not Lonely (Most of the Time) is an ongoing series that I started two years ago interviewing women that are single either through choice or circumstance. It’s based on real life interviews with women and I go to their places of residence and work and draw them. The structure is quite fixed and presents a day in the life of each of these women and as a viewer you interpret what their lives seem like from the outside. The same series of images are repeated again with text from the interviews I have conducted with them. There’s this whole stigma around being single and people assume that you’ve failed at romantic relationships or especially for women, and Indian women, choosing not to be married is a big issue that everyone in your family wants to get involved in. So the project grew out of that idea and currently all the interviews I’ve done are with Indian women but it’s interesting that a lot of other women have found that the piece really resonates with them. I think the idea is that I keep adding to it as an anthology of short stories and I think at some point I want to widen it out to women from any country, anywhere, as I think we all go through similar issues. What did being shortlisted for the prize mean to you… It’s been a real surprise. I was always worried that because the work is quite Indian in its themes that maybe it wouldn’t have an appeal here. It’s been really refreshing to understand that many women can connect with these ideas. It’s been an opportunity to meet all the other lovely shortlisted artists and the organisers and to feel that I’m not like an artist on my own making art in my room on my own and am part of a wider community. I’ve never been part of any comics network in the UK and I hope this is a way into that. Sarah is a London-based artist, illustrator and writer whose work will be familiar to many BF readers from the Salon of Rejects anthology from a couple of years back. Describe your comics entry… It’s called Persevere and it’s about three characters whose stories intersect so they’re all going through grief, insecurity and issues. With the character Rose it first starts out that she’s given birth but you soon realise that’s her looking through things through lenses and she’s had a stillbirth. Her friend seems to have issues with her afro-textured hair but what she actually has issues with is the loss she suffers from stress-related alopecia and she filters her feelings. She realises that Rose is still grieving several months after what’s happened so she puts aside the issues she has to be there for her friend. What did being shortlisted for the prize mean to you… Honestly I was really shocked. Completely shocked because I don’t really do comics as such. I only do a few shorts. With this story in particular I thought the graphic form would be perfect for it… give it a visual story, but subtly, and I did want to create a story where several characters interweave into one narrative. For more on the work of Laydeez do Comics visit their site here and follow them on Twitter here.